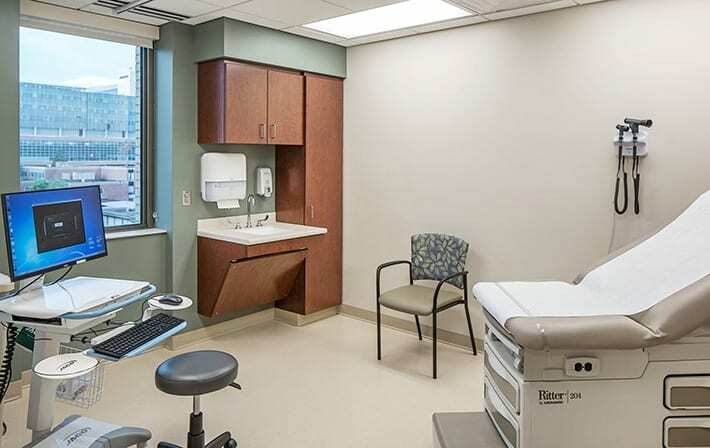 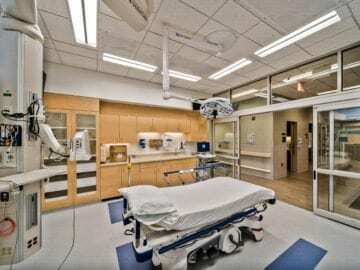 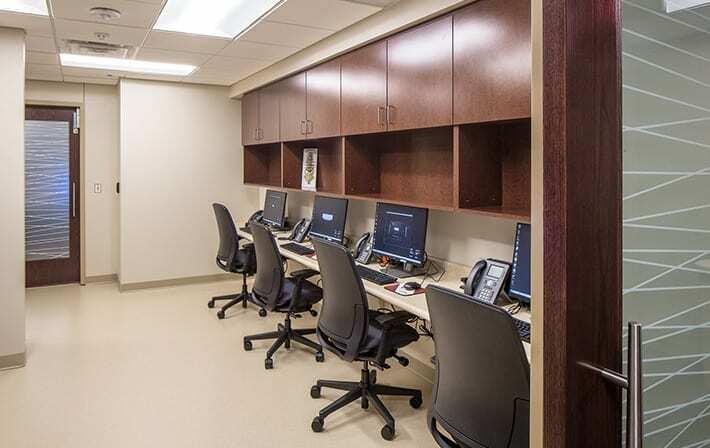 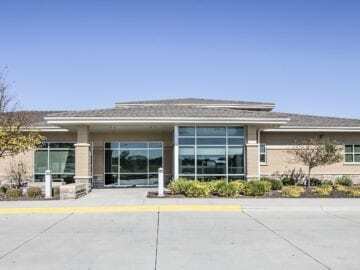 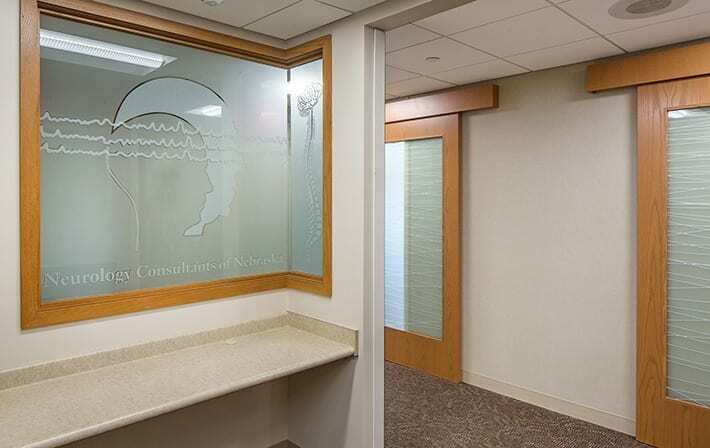 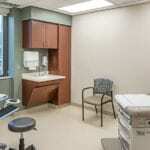 As part of Schemmer's five-year IDIQ Contract with Nebraska Medicine, architectural services (preliminary design through construction phases) were provided for the Neurology Consultants of Nebraska (NCN), a private clinic, as well as Nebraska Medicine's Departments of Neurosurgery and Pain. 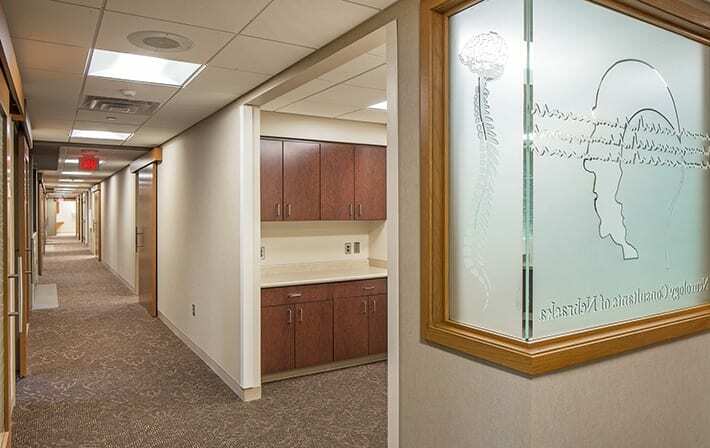 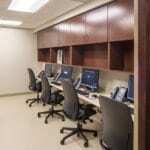 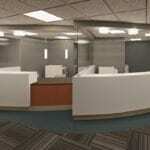 All three groups share floor five of the 6,900 SF Clarkson Doctors Building North at the Nebraska Medicine campus. 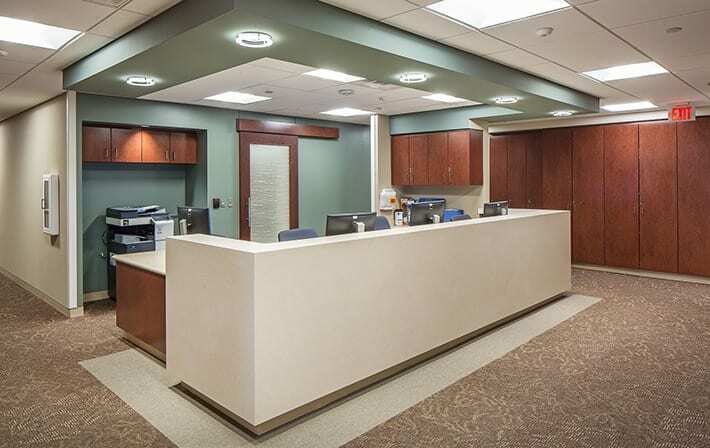 Schemmer worked closely with Nebraska Medicine and their Construction Manager at Risk, Kiewit, to ensure the project was designed to meet the owner's budget. 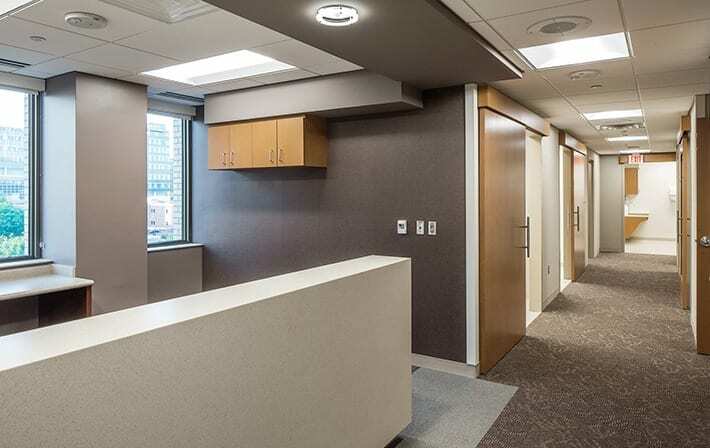 An efficient and creative design was required to accommodate rapid growth within a fixed floor plate. 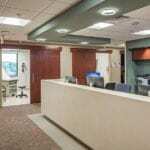 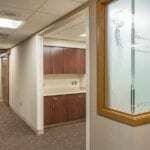 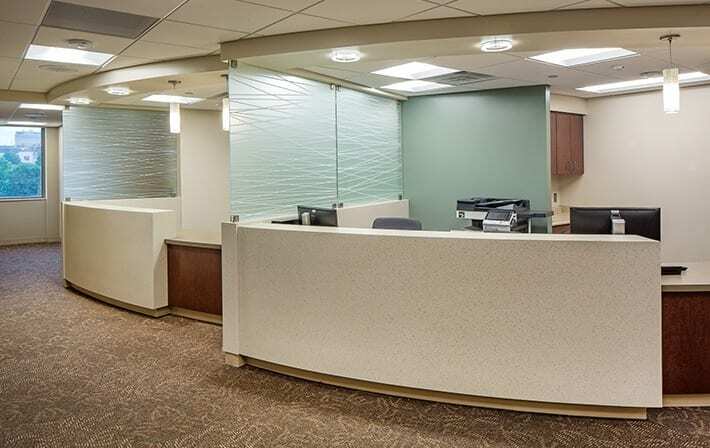 A central reception desk, located directly off the elevators, not only aides in patient wayfinding, but also allows each of the clinics to have their own private check-in desk while efficiently utilizing space. 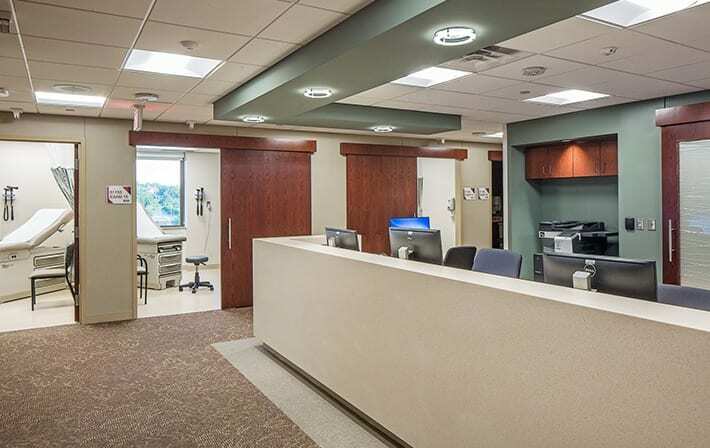 Future design iterations included further distinction between the various stations to make patient check-in as clear and simple as possible. 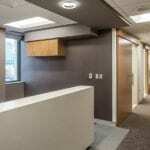 The project was recently completed. 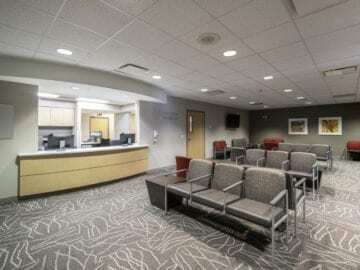 Schemmer has a lot of bright people with various backgrounds in design. 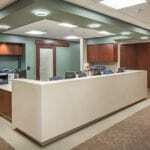 They are good at what they do and you feel they care and listen to your needs during the design process. 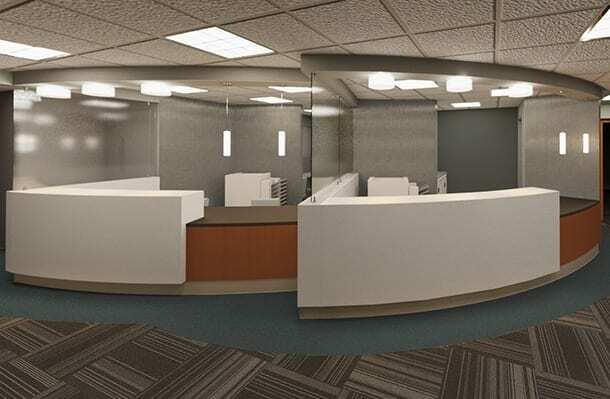 We look forward to working more with this company in the future.